I’m still extremely stubborn and really only play and build black/green decks – it’s my comfort zone and I know how to counter most of the regular opposing color decks that I face out there. 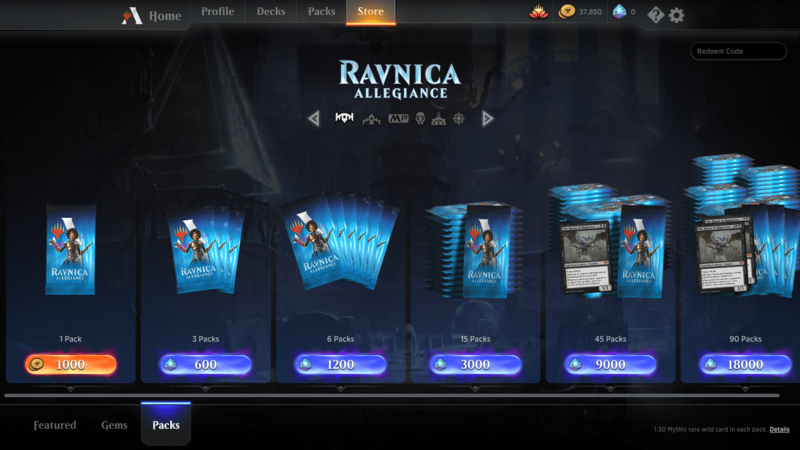 I do play any color based on the daily quest, but that’s only in fun mode (which still counts for daily quests) compared to ladder ranked. 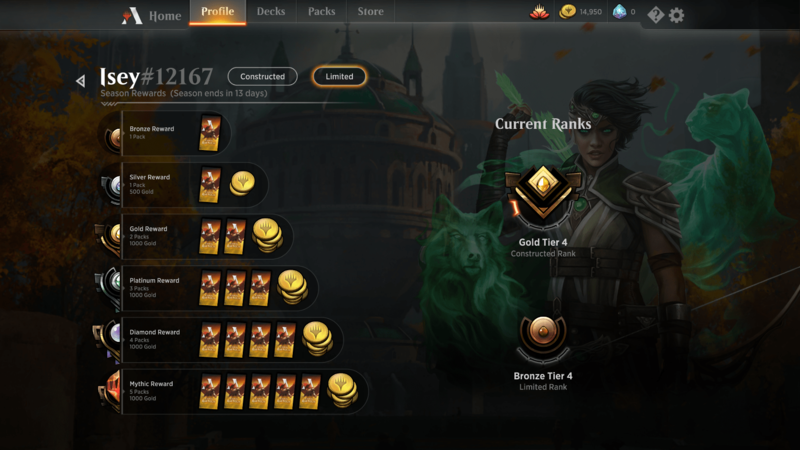 Speaking of which, in the last MTG:A season I was stuck in bronze most of the time but with my Golgari Graveyard deck (my own additions to the standard Midrange variety) I have climbed all the way up to Gold 4. That may change quickly as deck building for me is finding cards to deal with how I am losing in game, which is a practiced art that includes lots of losing. The new expansion may create a brand new losing streak for me as I sort through all of that. I am still only sticking to the “best of one” format that MTG:A started with as I am not a strong deck builder. I am going to start trying to construct my own decks for the practice, off color matches as when I read Izlain’s post on Magic that sounds like a big, fun part of it. 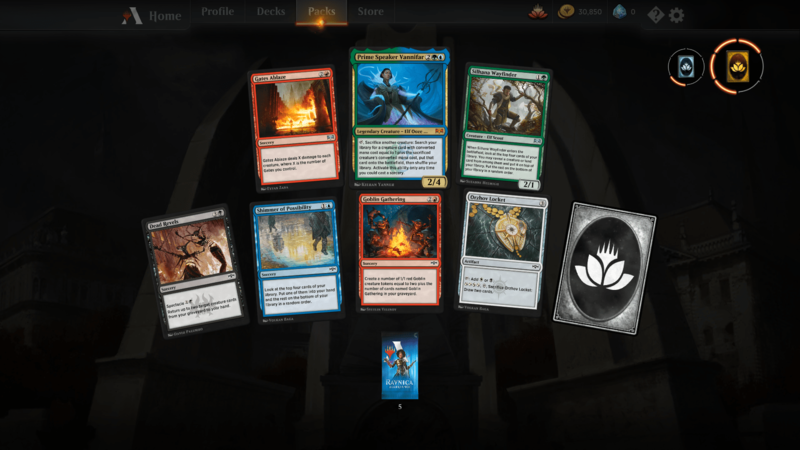 The important thing is now that after a year or so of playing beta, and the live format, that I am very comfortable with all the mechanics and know most of the cards out there. As with most expansions they introduce new mechanics – Green this time around is “adapt”, which ads +1/+1 counters to your cards per adapt level. This gives the opportunity to create really powerful cards if they aren’t removed from the board quickly. Black has a death mechanic called Afterlife that spawns new token creatures when the non-token ones die. Also a mechanic that allows you to spend a lower cost on cards if the enemy took damage this turn. All in all, the learning curve begins again. Not nearly as harsh as Hearthstone and savvy spenders like me can get a ton of new cards for free at launch. If you like card games on the computer, and aren’t playing this, you really should give it a try. The base decks they provide to you as you learn have remained a competitive entry with varying styles. Haven’t tried it yet. Now I feel like I have to. Thanks. Still, you can’t go wrong with MTG:A.